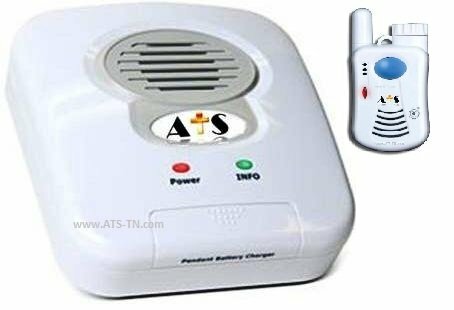 Medical alert systems are designed to provide the owner easy access to help in case of a fire, medical event, fall, or any other life-threatening event. Despite variations across brands, they all have the same basic functionality: a help button that, when pressed, connects the owner to an attendant, caregiver or family member. Basic systems work with a landline and come with a base unit and a help button. More advanced systems can use cellular networks and have GPS tracking and other special features. Medical alert companies focus on providing reliable customer service to elderly folks so that they can feel safe at home or on the go. With tools like a monitoring center, emergency button, and mobile medical alert, you can make sure that family and loved ones are safer than ever before. What Is the Best Medical Alert System? Elderly people can benefit greatly from medical alert systems. If you live alone, the system can alert the proper authorities whenever the need arises. Even if you live with family, there may be instances when you need help and your loved ones are either not home or in another part of the house and unable to hear you. Furthermore, with a variety of medical alert devices, you can find the right product for any living situation. 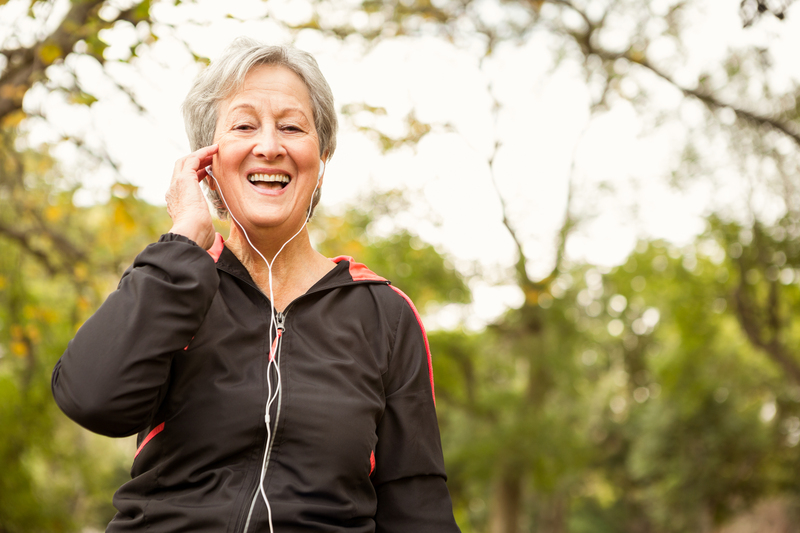 Medical alert systems enable you to enjoy a better quality of life. Most seniors would prefer to live at home for as long as possible. The alert system helps to delay the move to a long-term care facility, allowing you to live independently for longer than you could manage otherwise. More than one in three seniors fall each year, according to the National Institute on Aging. You don’t want to wait until an accident happens before getting a medical alert system. If you’ve fallen before, have dizzy spells, unsteady feet, or you are chronically ill, you should work with your family to find the right system for you. We will provide you with all the information you need to choose from a variety of medical alert companies. 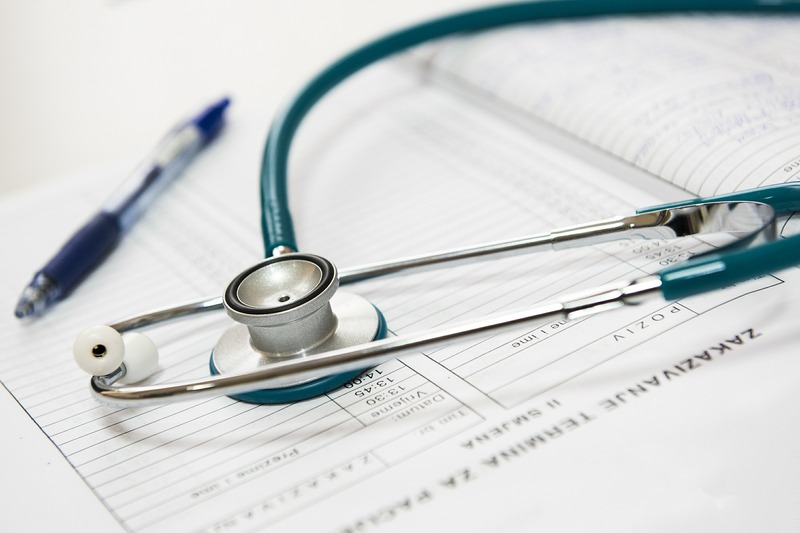 Although Medicare Part B (medical insurance) typically covers durable medical equipment, it does not cover medical alert systems. Some Medicare Advantage plans (part C) do cover medical alert systems for health-related purposes. You should contact your plan to see if these devices are covered under your benefits. Getting a medical alert system up and running is relatively simple. The systems for landlines come with a base unit and a help button that you can carry on you as either a watch or pendant. To install it, all you do is plug the base unit into your phone jack using the phone cord that comes with it, and then plug your phone into the jack on the unit. Once your unit turns on, you’re all set. You should run a test when you first connect everything to make sure all components are working as they should and that an agent answers. Watch the video below for a sample landline installation. To install a cellular system, all you usually need to do is plug in the base unit and wait for it turn on. If you have difficulties setting up your mobile medical alert, customer service will help you resolve any issues. With so many brands of on the market today, it can be difficult to understand the differences between them. We’ve sorted through medical alert system reviews and fall detection device reviews to determine which options are the best for seniors. Your needs differ based on your health status, lifestyle, technology in your home and budget. In addition to choosing between a landline or cellular system, you can also choose whether you want your system to be monitored by an agent or if you want the help button to dial a family member or caregiver. If you want a system with auto fall detection or other features. You should work with your family to find the right options for you. Below are our rankings of the best medical alert systems. Many of these systems include the best fall detection devices on the market. While most of their features are similar, pricing and user experience are often key differentiators. 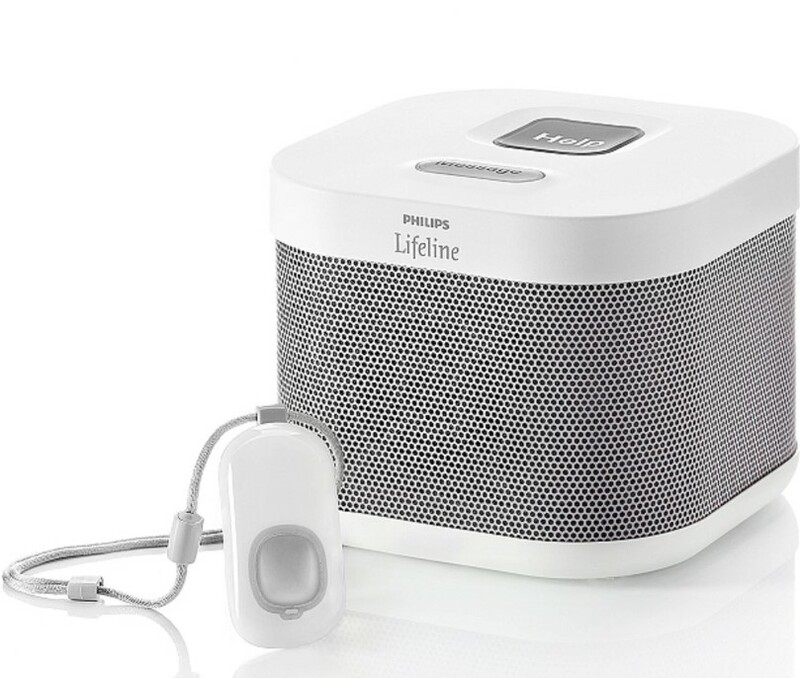 The Philips Lifeline is probably the most popular medical alert system on the market. With a variety of features and options, it continues to be much in demand, even with prices being on the higher end. The basic level, HomeSafe, comes with a landline option but can be upgraded to wireless. The base unit allows for two-way communication and comes with a 30-hour battery backup in case of a power failure. The pendant has a long-lasting battery that Lifeline replaces for free if it runs out. Monitoring is 24/7 and response times are between 20–30 seconds. The monthly fee starts at $29.95 with a $50 activation fee. The HomeSafe with AutoAlert is the intermediate level and provides automatic fall detection for $44.95 a month. The GoSafe solution is their all-inclusive product. It adds cellular coverage outside the home and location detection. The pendant allows for two-way communication when outside the home, comes with a rechargeable battery, and has airplane mode for flights. The two-way speaker on the base unit automatically connects with the pendant when they’re in close range. GoSafe costs $54.95 a month, with a $149 on-time device fee. Price is a concern for many, but it is outweighed by the top-of-the-line features that many people are looking for. GreatCall offers a variety of benefits based around their 5Star Urgent Response service. Many of the benefits are available using only a smartphone. These include activity monitoring, GPS, fall detection and medication reminders. Monthly service fees range from $19.99 for the basic service to the $34.99 ultimate service plan. Lively Mobile is the most basic product offering. You can speak directly into your device and you don’t need a landline or special equipment. Lively Wearable turns your smartphone into an alert device. It can also count your steps and send you daily wellness motivations, and even allows you to follow and compete against your friends. 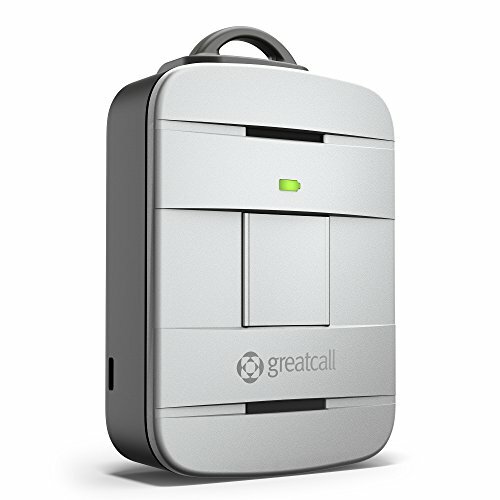 GreatCall also offers medical alert service with a smartphone app and a button on a flip phone through their Jitterbug Smart and Jitterbug Flip products. Overall positive reviews mainly due to the fastest response times in the industry. MobileHelp Classic is the most basic offering. At $29.95 a month, it provides in-home only monitoring and comes with a base and your choice of two wrist bands or neck pendants. 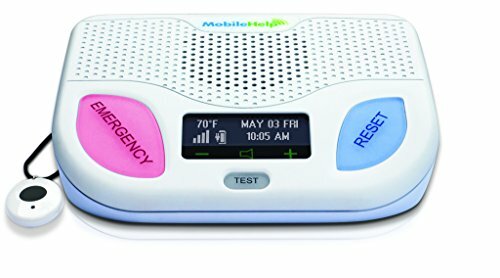 MobileHelp Solo doesn’t come with a base unit but provides you with a portable emergency communicator (like a walkie-talkie) to take with you when you leave home and comes with optional GPS tracking for $37.95. The wristbands and pendants work with the portable communicator. MobileHelp Duo combines the benefits of the Classic and the Solo into one complete product offering for-anywhere coverage for $41.95. As an additional benefit to each product, your family and caregiver can check on your status and sign up for notifications through the MobileConnect online portal. All the products come with optional fall detection monitoring, and you can choose payment plans from monthly to annually. Positively reviewed primarily for the in- and out-of-home monitoring capabilities. Just In Case Medical Alert Pendant On The Go offer peace of mind with multiple options. 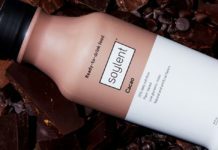 On-the-go products have a base station for charging and require no landline. Starting at $39.99 a month, on-the-go products have GPS location capabilities and fall detection. For $35.99 a month, the medical alert plus is an in-home operation with home temperature monitoring. 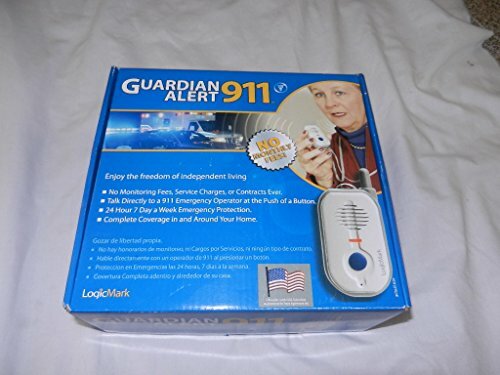 Lastly, the basic medical alert system is $29.99 a month yet requires a landline. 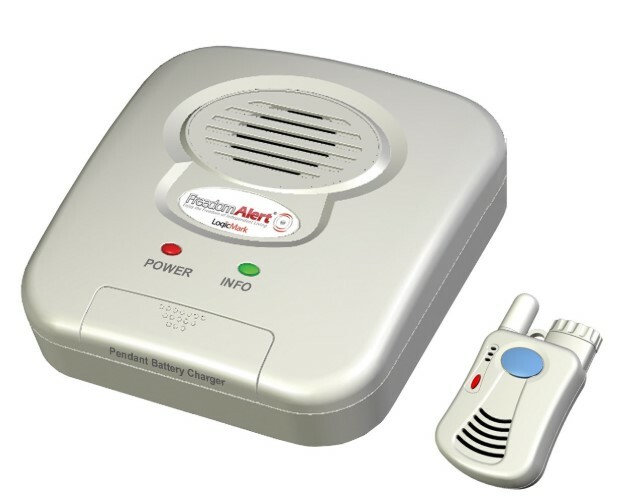 All systems have alarm signals that send a professional to deliver fast response 24/7 in case of a medical emergency. ADT medical alert systems reviews show are mostly positive and customers seem to trust this product. ADT also has a long history of successful home security services. larm Medical offers 24-hour monitoring via three packages. 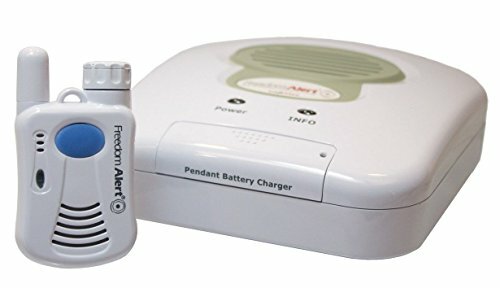 With a regular monthly price of $27.95, the In-Home Medical Alert package provides coverage only inside the home and up to 1,000 ft. through a base unit and wireless pendant. The intermediate package, GPS Alert System, provides a GPS mobile device with an alert button and speaker for $29.95 a month. Bay Alarm Medical's highest tier allows you to bundle the in-home and on-the go packages for $39.95. All packages default to use a landline but can be upgraded to cellular for an additional $14.95 a month. The caregiver tracking tool allows for a geofencing area to be set up. This means caregivers and family members can receive a notification if you leave a predefined area. Other features such as fall detection and a wall-mounted help button can be added for additional cost. Quarterly and semi-annual payment plans are also available. Some customers don't like the monthly subscription cost, but generally positive reviews from the features and reliability which is the most important. The Logicmark doesn’t have any contracts, monitoring costs or monthly fees. It comes with a landline-compatible base unit and a two-way pendant that can answer incoming calls. It is strictly for in-home use due to its coverage range of only 600 feet and no cellular or GPS compatibility. An emergency wall-mounted communicator is optional. The primary benefit offered by the Freedom Alert system is the ability to program and call up to four emergency contacts and 911. In case of an emergency, you can choose to call a contact or 911 directly. The pendant is water-resistant with rechargeable batteries that can last up to six months. A total of four pendants and emergency wall communicator can be programmed to one system. Customer complaints often revolve around low battery life and limited functionality, and expert reviews point out the lack of default professional monitoring. However, public perception remains high because of the one-time purchase cost versus monthly fees from other providers. Positive public perception mainly driven by one-time cost vs monthly payments, even with limited functionality. Assistive Technology Services creates a variety of alert services to suit your needs but offers no professional monitoring. 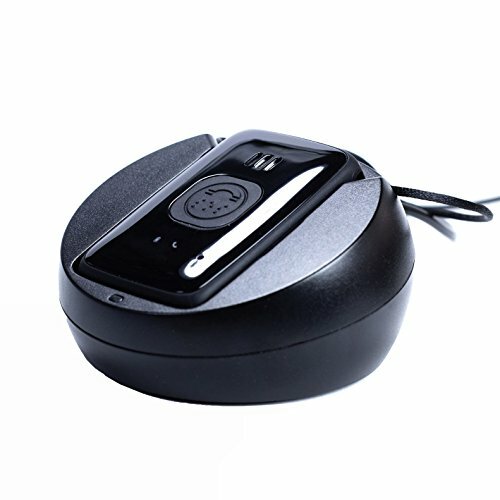 You can choose from special two-way medical alert phones, pendants, mobile key systems and others. The devices are compatible with regular phone lines, VOIP lines and phone lines. If you don’t have any phone lines, then you can choose the cellular option. All devices are priced separately, making for higher up-front costs. 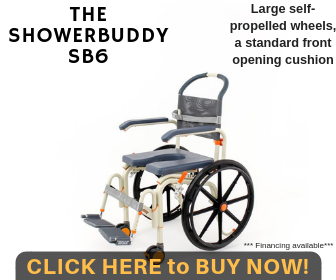 With coverage areas up to 600 feet, Assistive Technology Services devices are meant for in-home use only. You can program up to four emergency contacts and 911. Even with higher up-front costs and no professional monitoring, the lack of monthly fees helps create a positive perception. The Touch N’ Talk alert system is sold by Assistive Technology Services (reviewed above). It is designed for those who want the capabilities of an alert system without the professional monitoring and monthly fees. The system comes with a base unit and a water-resistant pendant that provides two- way communication and can be programmed to automatically dial up to four emergency contacts. It can also call 911 if none of your contacts are available. The coverage range is up to 600 feet and there is a cellular option if you don’t have a landline. Customers love the quality and no monthly fees. 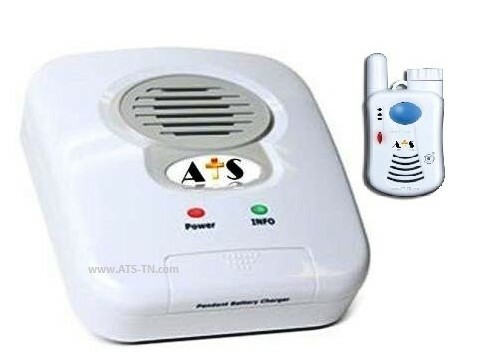 For those who simply want to be able to dial 911 in case of an emergency, this is the perfect device. Simply press the help button and you are connected to emergency services. Unfortunately, if you want the option to contact someone else, such functionality isn’t available. The pendant is moisture-resistant when sprinkled with water but not when submerged. You can purchase it for around $150 without any additional fees, and the pendant provides two-way communication. The majority of complaints are due to the short battery life, but for those with a specific need, it is the perfect solution. 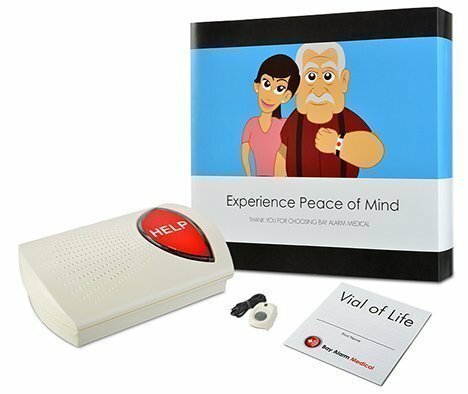 The LifeLink Prodigy system is a simple alert system that gives seniors the ability to contact the individuals they want during an emergency. 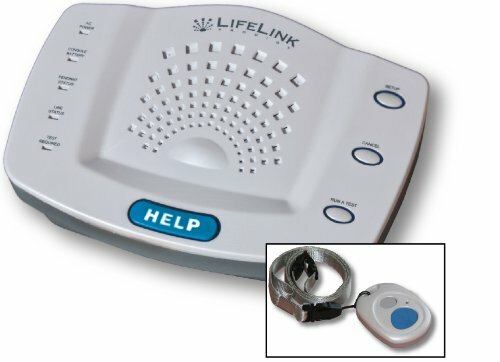 The LifeLink Prodigy allows for programming in eight contacts and 911. In case of an emergency, the pendant sounds a siren and the system calls each of the contacts in sequence. One of the bigger negatives against this system is that the two-way communication speaker is only on the base unit, and the range on the pendant is only 300 feet. As a result, those who live in larger homes are restricted in their movement away from the base. A few complaints about battery life of the pendant but overall positive perception. While medical alert systems are great tools, there are several important accessories that can ensure you have full coverage in and out of your home. In case of an emergency, you want to have all loopholes closed so that you are sure to receive the proper level of care. There may be times during emergencies when you are unable to speak. When this occurs, the ID card speaks for you, providing emergency responders and medical personnel with an understanding of your health and personal information. In situations when every second counts, an ID card can be a life-saver. Medical alert bracelets and necklaces are alternative forms of ID. In an emergency, rather than having to look for your ID card on your person or in your purse, medical personnel are able to quickly recognize your medical alert bracelet or necklace, read the information on there, and administer the correct treatment. Though you have a medical alert system, there may be times when you only want to alert your caregiver that you need assistance. For example, if you’re in another room and feel dizzy or faint, you can send an alert to your caregiver. Depending on the type of pager you have, you can communicate with your caregiver directly over the system or your caregiver receives an alert to come check on you. This helps to ensure that you don’t use your medical alert system when it’s unnecessary. Handbells and call bells can serve the same purpose as pagers and call buttons. Depending on your home setup or health situation, it may be easier to ring a bell than press a call button. There are times when due to health concerns, the best thing for you to do is to stay in bed. To ensure that you stay resting and do not injure yourself, your caregiver may place a sensor pad with an alarm on your bed to remind you in case you forget and try to get up. This can also serve as an alert for your caregiver to check on you to ensure you haven’t fallen out of bed. 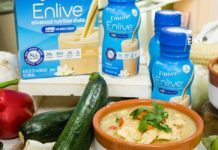 Next articleGarden of Life Raw Organic Meal Replacement Review – Is It Healthy?